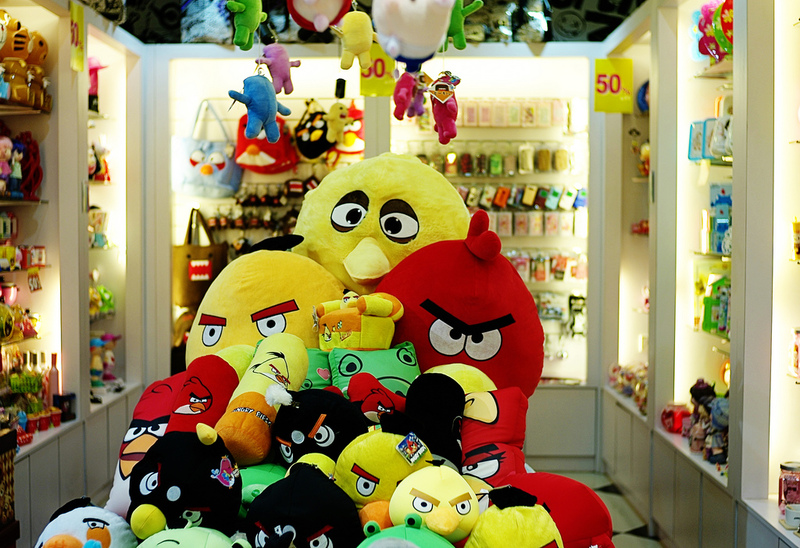 Angry Birds maker Rovio has continued to boost its presence and merchandising in China after opening a ‘shop’ on Alibaba’s Tmall, China’s premier online shopping service. The move, reported by China Daily, is the latest initiative of many taken by the Finnish firm to cash in on the success of the franchise in China’s lucrative online retail market. Tmall is used by brands and high street retailers to reach customers online, and through it Rovio will sell a range of products that include clothing, accessories and food. We want more people to know that we are not only making games, but also a full suite of entertainment services including retail, animated short videos and comics. Tmall holds almost 50 percent of China’s online B2C market. The total value of goods sold on the site in 2010 reached an estimated $60 billion, which is twice its 2009 total and higher than the $53 billion revenue recorded by eBay, according to TIME. While that’s impressive, its figures from 2011 will likely be higher still. Not satisfied with stopping at developing its gaming portfolio, which has had close to 40 million downloads in China, last year the company opened its first ever overseas operations with a Shanghai-based office to cover marketing and sales in China. It is also notable for adopting an open-minded approach to counterfeit goods, which are a notorious issue in China and other parts of Asia. It took the unusual step of teaming up with an unofficial Angry Birds theme park which had opened in China, while all manner of fake items have sprouted up across the country — like this 7 inch tablet — to demonstrate the huge potential for profits through the franchise. On the international front, Rovio is planning its next move with a music-based game in the offing, as the company revealed at the Midem event in Cannes this week. During the French event, Rovio CEO Mikael Hed told an audience that it had “learnt a lot from the terrible way the music industry dealt with piracy” and that it is “almost our fault” if counterfeit products are the easiest thing to buy.